The new year started with someone new and several old friends. Finchberry, one of our newer clients, had us busy installing access systems for them. Tuscan Home Builders, an established builder and client in Dunellon, had us back in their Bel Lago community wiring new homes under construction. Back at the store, the McIntosh Trade Up program was in full swing. Old gear came in, new gear went out. Some of those new amps weigh more than you can imagine. Trust us on that. The holiday season found our guys at Wilde's Plantation getting Parade Homes ready for the big event. Across town, Bento Cafe updated their network cabling and installed an office based rack system. Farther south, Gator Dockside in Ocala hung JBL pendant speakers and six flat panel TVs in their patio, which were then added to the automation system. Come the end of the month, we all took a little extra time off to enjoy the holidays with our families and be grateful for a good year. UF was once again home base. Pugh Hall updated its public address system with new microphones, switching and speakers. The UF Hilton did the same, along with a mixer and more. Nearby, Gamma Phi Beta started a large install that included A/V throughout the site, a pair of Crestron controlled 75" TVs in the common area and public address equipment tied to the monitor system. The Seventh Day Adventist Church moved ahead with its own updates. Two panels were hung to create 120" diagonal display for the congregation while the choir received two 70" panels on articulating arms. A video switch was installed to send four different feeds wherever needed. The church is dialed in. The vans were busy on campus once again. The Reitz Union was due for some freshening up, and the University Writing Program decided it needed its own video installation. Work continued in Ocala as Piesanos got ready to open its doors. Down in Silver Springs State Park, we installed a new video projection system in their conference room. Back at home, new hybrid amplifiers from McIntosh kept catching eyes and wallets. There is nothing like the warm glow of tubes on a fall evening. We kicked off the month with the CEDIA convention in San Diego. The big theme this year was large scale, multi-panel video installations. Sony stole the show with its massive 8K video wall. Piesanos opened up a new location at Top of the World in Ocala. They got their usual mix of audio and video equipment, and an automation package to oversee it all. Back in town, Vale Food Company opted for a very trick video system on rails. It was a fun month. August carried on where July left off. Barry Bullard Homes continued to keep us busy as new construction kept up its rapid pace. Pi Kappa Phi had us tweeking the large installaion we had previously done for them that included Wi-fi, distributed audio, video projection, public address and access control. The new AC Hotel downtown got a video installation and access control was once again the focus at the 800 Building. New construction led the charge in July. Work continued on several home at Bel Lago, in Dunellon. EG Gonzalez and Barry Bullard were just two of the local builders that kept us hopping back in town. And not everyone stayed inland, work called in Crystal River and all around the St. Augustine area. A beach breeze always improves a work day. As summer kicked into gear, the vans did the same, travelling south. There were new, luxury homes at Bel Lago in Dunellon, child care camera installations in Ovieda, and more new homes in Ocala. Back in town, commercial work was what kept us busy with work at Invivio, and The Nine, as well as O2BKids and more. If you are building a new home, before the walls go up is the time for the audio/video and automation wiring to go in. Even smaller homes need to pre-wire for growing families. Strong wi-fi in the bedrooms, video on the porch for the Gator game, or wiring pulled to a junction box for when the pool goes in. Doing it in the beginning will save thousands later. The march of new home construction continues on. New jobs in Oakmont and Haile fill the schedule. New toys abound as well as Sony continues to rollout new TVs and 4K Blu Ray players. It was a fine month to be outdoors and that was a very good thing as the teams were busy with new construction. Builders such as Bullard Homes, E.G. Gonzales and Jeffrey M Wilde kept the teams hopping. Add in work for the fraternities, sororities and various churches and there was over- time available for all. While february is a cold month to be at the beach, the teams spent a large chunk of time in St. Augustine updating the Holiday Isles hotel into Guy Harvey's Outpost Resort. The work included installing a projector and drop down screen in their main ballroom, setting up two conferences rooms for wireless presentations and installing a Crestron system to oversee it all with one-touch automation. The world seemed to circle around education in January. Work at Lake Sumter College kicked back into gear with the new year. UF also rang the phone with upgrades at the department of Geography, and work at the Nine carried on. The Nine, a large student housing project, includes everything from electronic secure access to an 18-foot Jumbotron. Residential new construction work continued unabated with new homes from Bullard Homes and Wilde Builders keeping the pre-wire teams jumping. As 2017 comes to an end, we at Sound Ideas have a lot to be grateful for. Business has been varied and rewarding, with jobs ranging from large, multi-room installations in hospitals and college campuses, to helping out individual families come home to Gainesville to re-establish their roots. Along the way the Sound Ideas family has grown as well, with new faces joining us and helping us achieve our goals. We have a lot to be grateful for and we would like to thank everyone that has helped make 2017 such a memorable year. The Thanksgiving season had us jumping about as usual. A large residential project on Crescent Beach had one team busy automating the house and adding music to the beautiful view. Another crew updated networking and installed new POS hardware for Dragonfly in Orlando. Closer to home, Wilde's Plantation continues to be a booming location with lots of new homes going up. As usual, UF had a team on site, this time installing updates in the F Club. Fall found us in and out of Gainesville. There were many small residential installations around town, ranging from media rooms to elegant stereo sytems for discerning opera aficionados. Down in Ocala, Munroe Regional Medical Center had us updating their conference rooms with projectors and all the usual accoutrements. With summer coming to a close, the teams found themselves helping our local customers improve their homes. New automation systems and surveillance camera installations were the norm. Work also continued out at our St. John's River project and will likely keep us travelling back and forth for several weeks yet. We also had the opportunity to send several of our crew to the CEDIA show in San Diego. There are some very interesting toys coming in the future. As the heat of the summer embraced Gainesville our teams kept cool in their commercial jobs. The Windsor project continued and work in Shands' latest tower picked up speed. This is not to say that residential work stalled as some of our teams found themselves involved in the huge rehab of an eighty-year-old brick home overlooking the St. Johns River, a project that involved every automation option a homeowner could ask for. July found us once again working on large-scale operations. A conference room in Shands Cancer Center, three more conference rooms at the local Holiday Inn and extensive work down at Lake Sumter College kept us jumping. July also was the start of the Windsor, a huge assisted living community, that will keep us busy through the end of the year. The Windsor includes multiple Crestron controlled media rooms, a PA system, a 64 seat theater and much more. It was a good month for the beach and that is exactly where the teams spent quite a lot of the month. New homes and renovations kept them busy. Back in town it was a mix of small commercial projects like Menchies in Butler Plaza, or updating homes for summer dance parties. It looks like it will be a fine summer. It was a month for new homes. Residential builders such as Jerffery Wilde and Barry Bullard kept our local teams jumping. On a larger scale, we started work at The Arbors at Tumblin' Creek, a senor community with over 100 units. The residences' community areas are being wired for distributed audio/video, Wi Fi, surveillance cameras and more. Newell Hall continued to be the big project on the calendar. The work contained a fair amount of digital signage including menu boards for Au Bon Pain, custom conference room tables with video interfaces, audio enhancements and Crestron control of the entire operation. It seemed that our guys were at one new home construction site or another all month long. We were pulling wires, setting up systems and survellance cameras for builders such as Jeffrey Wilde, Tommy Waters, Barry Bullard and more. When not on a residential site, the teams were spending lots of time with new projects at UFs Newell Hall. North Florida Cataracts Specialist and Vision Care was home for our installation teams for much of Februrary. Network infrastructure, survelliance cameras and video distribution and automation kept the teams busy for the better part of the month. This new year started, like so many years in the past, with the roll out of new models at the 2017 Consumer Electronics Show in Las Vegas. Manufacturers strutted their stuff with flat panel TVs so thin they hang magnetically to walls, and OLED TVs where the entire screen serves as a speaker. Many of these will start shipping this spring. Automation continues its advance with Amazon's voice-controlled Alexa now working hand in hand with Control 4s whole house automated control systems. "Alexa, lock up the house and turn off the home theater." Heaphones continue to be a hot property with brands like Audioquest rolling out new models to expand their line. Meanwhile, vinyl continues it's resurgance and new turntable models are abundant. Overall, Santa is not finished with us. We have a lot of new toys to look foward to. 2016 is now in the books and it was a wonderful year for the Sound Ideas family. We were busy all year long with a variety of interesting projects. The final updates for UF's Reitz Union were finished in the spring. IT Pro TV's new studios kept us jumping during the summer and we were deep into the renovation of the Social at Midtown right through the end of the year. Our retail wing had a fine time showcasing all the new tools and toys that arrived throughout the year. From one-touch automation to flat panel displays that satisfied even the most critical sports fan, we had a cornucopia of home entertainment. Our family also expanded as new installation and repair techs joined our teams and our back office grew to help meet demand. Overall, it was a great year and we would like to thank all of our loyal customers who helped make 2016 a year to remember. The name of the game for November was McIntosh Labs. It seemed everyone decided at the same time that they were ready to get serious about their home theater and stereo systems. From new turntables to Atmos theaters, people were taking off the gloves and putting together definitive systems. McIntosh helped by rolling out new models that caught everyone's interest. Jingle Bells will never sound so good. It's back to business as usual for the teams as they travel across the state installing new systems, enhancing existing installations and generally putting smiles on faces. Installations ranged from White Springs in the north to Key West. A popular system enhancement has been Sony's new top-tier XBR TVs. These flat panels are Sony's latest claim for the 4K crown and a direct broadside against LG's OLEDs. August and September shared one thing in common for Sound Ideas, The Midtown Social. As the month came to an end, so did the project. This beautiful bar moved from a big idea to a new showcase on University Ave. Between banks of TVs, touchpad automation and rooftop bars, our boys had their hands full. Back on the showroom floor, new TVs models wowed visitors with the 65" LG OLED 4K flat panel making customers think they were looking out a window. Fifty TVs fill the floor in our showroom's home theater. Pallets of mounts and professional grade speakers have taken over the storage bay. The installation crew is preparing for another marathon week as Midtown Social races toward its opening deadline. This mainstay bar on University Avenue (formerly Gator City) is going through a massive renovation. By the time it is done, there will be more than 50 flat panel TVs in place, two rooftop bars with projection screens, a dance floor and fully automated control. It's going to be a great place celebrate UF sports victories. The highlight of the month was the pre-release party that Ridgeback Records held at Sound Ideas for the new Big Shoals album. Thirty or so fans came for an evening of music, food and fun. Loosey's Downtown catered the event, Swamphead Brewery kicked in some libations and the band was on hand as we previewed the freshly pressed vinyl. The music was excellent and the main floor's big McIntosh system squeezed out every single note with style to the approval of the producers, band and crowd alike. The evening was a complete success and we hope to hold more events like this in the future. While business keeps ticking along in our retail division, our commercial group has once again jumped into the thick of it with Gator City's major renovation. So far we have close to 40 flat panels going up, distributed audio, centralized control and DJ sound reinforcement gear scheduled, with more to come. Back at home our electronic repair department is in high gear with the addition of a new bench technician. TV and audio gear is coming in wounded and heading back out repaired in record time. The boom in construction of new homes continues to keep our teams up in the rafters. More than ever before, new homes are being wired for integrated security systems that include surveillance camera and remote monitoring options. Between Sound Ideas and our sister company, Safeco Security, we have been helping future homeowners to create safe and reliable houses for their families. For those already settled in their nests, new products like McIntosh Labs' new music streamers and Rega's recent updates to their classic line of turntables give us fresh ways to add a soundtrack to our quality time at home. Spring in Gainesville brings not only flowers but the annual Builders Association of North Central Florida's Parade of Homes as well. During the parade, local builders display their finest homes for public inspection. Sound Ideas worked with both Advanced Building Concepts and Lenny Sprague Construction to add some technical sizzle to their showcase homes. At the Town of Tioga parade home for Advanced Building Concepts, we installed a home automation system from Control 4, an eight-camera surveillance system, Sonos's wireless distributed audio and three separate home theaters. In the Hillcrest home of Lenny Sprague Construction, we installed surveillance cameras, a central vaccuum system, structured wiring, an intercom system and a home theater based on around a 75" 4K flat panel TV. In the end, our builders were quite pleased and the public response was excellent. There is little question that Gainesville is booming, our installation team certainly believes it. The crews have been pulling wire; installing keypads; vaccuum piping; security sensors, cameras and panels for half-a-dozen builders in the last month alone. The residential market has clearly recovered. For folks settled into their homes, upgrades are in the plans for many. The new standard for TV size seems to be 65 inches. 4K video panels are de rigeur and 4K DVDs are finally beginning to hit the market. The big job is finally done. For the better part of the past nine months our teams have been all over the University of Florida's Reitz Union rennovation. By the time the dust had settled, we had installed 11 racks, over 60 pieces of digital signage, automation, a theater-grade laser projector and digital multi-track mixing board, pallets of speakers, touch-panel controls and much more. Our intallers and programmers are exhausted but have every right to be proud of a job well done. Our commercial team is overdue for well-earned vacations. Bravo gentlemen. New month, new year, busy as ever. Our commercial crews never even noticed the calendar change as they race to the finish line at UF's Reitz union. With over 70 pieces of digital signage and the ballroom to go everyone is in overdrive but it's looking better every day. The retail division is rubbing its hands in anticipation as it looks forward to all the new toys shown at this year's Consumer Electronics Show. As the year wraps up, we here at Sound Ideas have a lot to be grateful for. Our retail sales division had a fine year with lots of new toys to play with. Audio/video has never looked or sounded so good. Our commercial team have been amazingly busy. High-profile jobs filled the schedule and our installation crews spent so much time on campus they may receive diplomas for attendance. The on-line sales group continued to fill Fed Ex trucks and help our customers turn their traded-in classics into cutting edge wonders. All in all, it has been a wonderful year and we are thankful to all our customers who have made it so much fun. November went by in a blur as the entire staff spent the month either ramping up for either a busy holiday season on the showroom floor or hammering away at deadlines for the big commercial jobs. Sales were made, goals accomplished and by the end everyone was ready for a few days off to spend Thanksgiving with their families. We hope you enjoyed your holiday as much as we did. Lake-Sumter Community College in Leesburg has added to our educational goals by booking us for audio/video and automation of 10 classrooms and a conference room. The teams will be traveling a little farther than usual for a bit. Back at home, the darling of the showroom floor, Golden Ear's Triton One, just got picked by Stereophile for the prestigous "Speaker of the Year," award. It was business as usual for Sound Ideas as we finished up existing commitments and dug into our largest commercial project to date, the Reitz Union installation. With over 20 rooms of audio/video and automation, including the Orange & Brew and the Grand Ballroom, the teams will be on campus through the holidays. If July was speaker month, August has been all about video projection. Twenty screens ranging from 155" to 179" are prepped and waiting for installation as part of the ongoing renovation of the Reitz Union at the University of Florida. Santa Fe College has increased the pace on its renovation schedule and has booked us to install Crestron automation in 17 more classrooms. The retail divsion is also receiving new toys. NAD's Master Series digital electronics are now part of our mix. These high efficiency, all digitial amplifiers and preamplifiers are garnering wonderful reviews for their outstanding sound and flexibility. We will be displaying both two channel and home theater versions. Phase one of the Gator Football Practice Field is now complete. Thirty speakers float above the astroturf. They will soon be wired with 72,000 watts of power. Across campus the finishing touches are being put on UF400, a new dormitory where we wired seven rooms for handicapped students. The new rooms include Crestron voice-controlled automation of lights, video, cameras, sound, AC and much more. In the showroom the word of the month was headphones. Audioquest's new Nighthawk headphones arrived and they have been living up to the advanced buzz. They share space with Sony's new line of Hi-Res headphones. While UF continues to keep us hopping with some of the largest commercial jobs we have taken on yet, Santa Fe College, which is in the midst of remodelling portions of it's main campus, has booked us to install Crestron automation of audio and video as part of their own classroom rennovation project. When it rains it pours. Golden Ear speakers continue to fly out the door as at the Triton One floor standing speakers basically blow people away in our "Blue Room" demo station. The speakers sound so good two of the sales staff now have them as part of their home systems. Another month, another project for UF. This time we are at the new Gator Football indoor practice field, wiring it for sound. With over 30 massive speakers in the installation, the team will be able to practice with Swamp level volumes. On the homefront, we have now picked up Lehmann Audio, specialists in turntable and headphone amplification. Early reports are very promising. It looks like our teams will continue to enjoy the UF atmosphere for quite a while yet. Reitz Union: Sound Ideas has won the bid to install video and distributed audio throughtout the building as UF continues it's major renovation of the site. The project ecompasses over 20 rooms and will keep us busy through the summer and fall. Golden Ear Speakers enter the line up. This speaker line, which is garnering amazing reviews in the industry, entered our line up in April. It consists of both floorstanding and bookshelf speakers, and architectural models for home theater installations. The ribbon tweeters makes these some of the smoothest and most detailed speakers we have heard. March can best be described as a work in progress. Many large projects that started earlier in the year continued through the month. However, there were two standout events. The installation of Digital Projection’s Laser projector in the University of Florida’s Reitz Union went extremely well. The projector has no bulbs, a 20,000 hour life expectancy and fills the hall’s 24-foot-wide screen with state of the art imaging. On March 26th, Sound Ideas and Nerve Audio hosted an evening celebration of the vinyl LP and all things related. The well attended event allowed patrons to hear favorite albums in new ways. Sony, Rega Electronics and Audioquest contributed prizes while Hear Again Music was on hand with cases of vinyl to spin and buy. The evening went so well we will likely host another in the fall. You would think things would have slowed down with the new year but our installation teams beg to disagree. They have been all across the map. The new Gator Dockside in Spring Hill opened its doors and we spent over 300 man hours helping prepare them for their grand opening. The installation included automation, networking, distributed audio/video and 32 TVs. In Oviedo, work continues on the new 32,000 square foot O2Bkids. Tree thick trunk lines of communication, network and audio lines have been pulled throughout the sprawling new facility. Closer to home, the next time you are bending wrist at First Magnitude Brewery and you hear a song you love, yep, that was us, or at least the installation of the new sound equipment. Keeping busy has also given us the opportunity to support our local charities. As Peaceful Paths raises the walls on its new campus, we have been in the thick of it. Security cameras, phone and networking lines, audio, video and much more are all being installed, and Sound Ideas is donating $5,000 in labor to help support their good work. We also helped out at the Rotary Club’s Wild Game Feast, selling them all their PA equipment at a few points above cost so they could clearly announce to everyone what they just ate. On the home front, the resurgence of vinyl records continues unabated. Turntables fly out the door on a daily basis. On March 26th, at 6:30 pm, we are hosting a Needle Drop and Record Swap. Bring a favorite record to play and see how good it can sound. You may also be able to trade a few with other guests. Local record dealers and factory reps will be on hand with prizes and special deals for this first time event. This seems like a good time for a year in review, and it has indeed been a busy one. Business is booming and 2014 will go down as one of the best years Sound Ideas has ever had. Our commercial division had many fun and challenging jobs. In January we set up the CommandCenter and several conference rooms in the new Gainesville Police Department. Right on its heels came the new Regional Transit System (RTS) building, complete with communications, digital signage, conference rooms and more. The end of this year has our teams all over the state, getting the new Gator’s Dockside in Springhill, and O2BKids in Oviedo ready to roll. Our home and online groups have also been having fun. New toys come in every week and go back out the doors just as fast. Digital media streamers, 4K projectors, top-of-the-line speakers; the list goes on and on. Our staff has been changing and growing as well. We welcomed in a new face when Rick McGinnis, our new commercial salesman, came on board this fall. Covering the “something old and something new,” category, David Hackett has returned to the fold and is overseeing retail floor sales. Going the other direction, we were sorry to see Larry Reeves leave the crew but wish him well as he settles in to his new home in North Carolina. After 29 years of having that long-haired, hippy Irishman dispensing his audio wisdom, the place just won’t be the same without him. We will all be raising a toast to him come New Year’s Eve. That will do it for now. We hope the past year has treated you well and hope that the new year offers even more. We've been awarded the A/V contract for the new Gainesville Police Department! The project is well underway and due to be completed by the end of March. The new facility will be state of the art with a high tech Command & Control Room and serveral multi-media conference rooms. 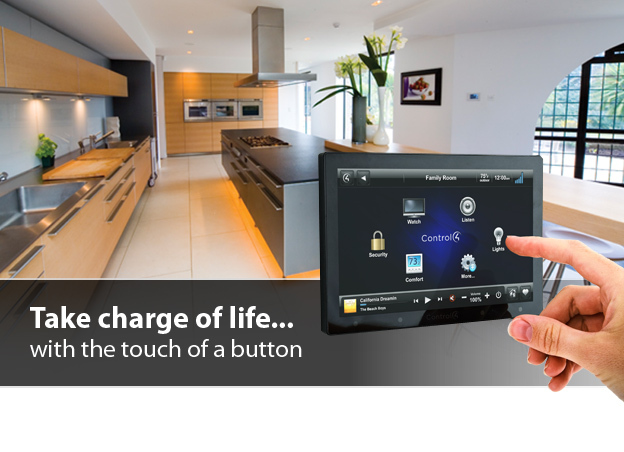 Crestron control throughout the facility will ensure the systems are easy to use. 4K TV is here! Stop by our showroom to view the latest in television technology. With nearly 4 times the resolution of a regular HDTV, 4K TV enhances everything. Stunning color, outstanding detail and a phenominal resolution, you have to see it to believe it. Come by and take the latest technology for a test drive! Sound Ideas is awarded the A/V contract for the new Gator's Dockside location in Lake City, FL. Consisting of 32 TV's, 4 Zones of audio and completely controlled with an iPad, the new Gator's location will be state of the art. With a selection of TVs ranging from 42" - 80" and 14 Cable/Satellite receivers, there will no better place in North/Central Florida to watch sports. Sound Ideas completes A/V renovations at the Marriott Beachside Resort in Key West, Florida. The Tavern N Town restaurant located inside the Marriot Beaside Resort, chose Sound Ideas from a group of Florida-based integrators to renovate the audio system, add 13 TVs and install a lighting control system. Special consideration was given to the live music system, which concentrates sound in the bar area and limits the amount of music that spills into the dining areas. The system was designed with ease-of-use in mind. Every aspect of the system can be controlled though an Apple iPad interface. Sound Ideas completes the renovations of its in-store Home Theater. Fully equipped with a 3D HDTV video projector by Sony, a Klipsch THX speaker package, electronics by Integra and a custom control system by Apple based Savant Systems, this theater rocks! 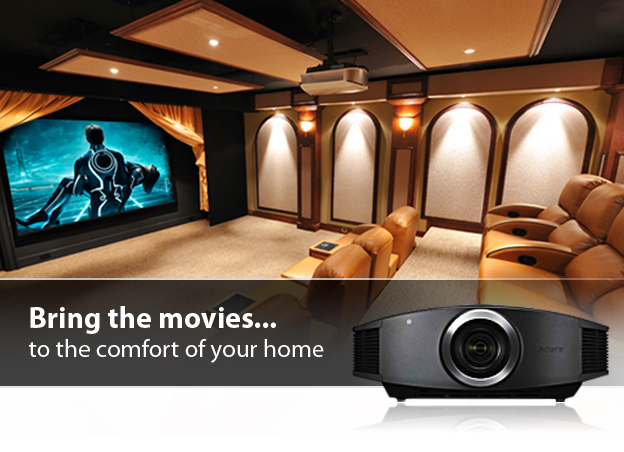 Stop by and see just how great a home theater experience can be! Sound Ideas is awarded A/V contract for the UF Weimer Hall Expansion Project. Home to the College of Journalism and Communications at the University of Florida, the Weimer Hall Expansion will serve as both a teaching/learning environment and a true/real production facility. Utilizing Crestron DigitalMedia technology, Sound Ideas designed a system that will not only accomodate their current needs, but will allow for future growth. Sound Ideas launches its new website. Designed by Relidy, LLC, a leader in marketing for the custom electronics industry, the site re-defines who Sound Ideas is as a company and illustrates its vast selection of products and services. Sound Ideas completes project for the UF Department of Recreational Sports activity rooms in the Southwest Recreation Center and Student Recreation and Fitness Center. 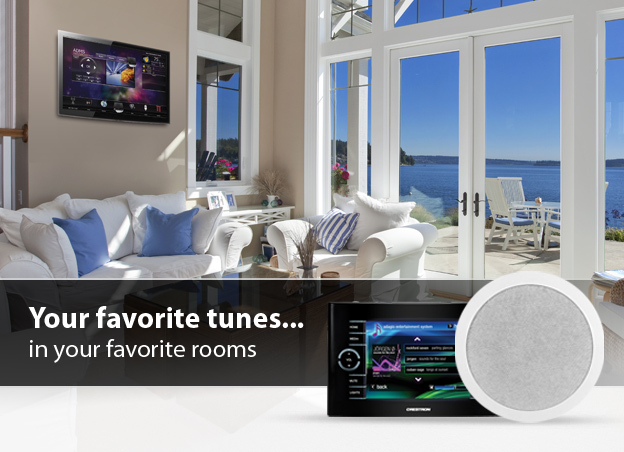 Sound Ideas adds Savant to its collection of product offerings. 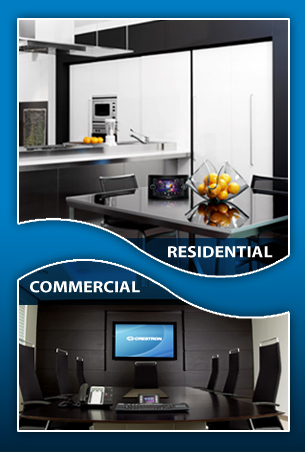 Savant luxury home theater and home automation solutions are engineered to simplify life — not complicate it. 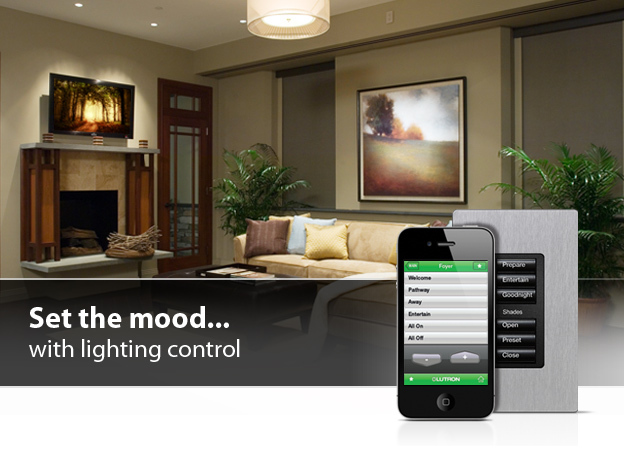 Featuring the industry’s only Apple®-based control and automation solution, Savant unifies all of your whole house audio and video, lighting control systems, security, climate, communications, internet and ancillary services into one easy-to-use, seamless experience. If you are looking for a unique shopping experience in a friendly, no-hassle, "Boutique Style" environment, then you've come to the right place. With over 30 years experience in the custom electronics industry, Sound Ideas is your one-stop shop for the best audio/video products and services in North Florida. No matter how simple or complicated your project, Sound Ideas is there to help you along the way. Our knowledgable team of system designers and product specialists are there to assist you with your next purchase and ensure your selection will provide years of enjoyment.